Administrators are pushing for diversity training programs for employees at nearly every level of the university’s staff and faculty. The programs are part of the campus environment team’s action plan, created in response to recent campus climate survey results, published in November, 2017 with no executive summary and no plans for third-party analysis. 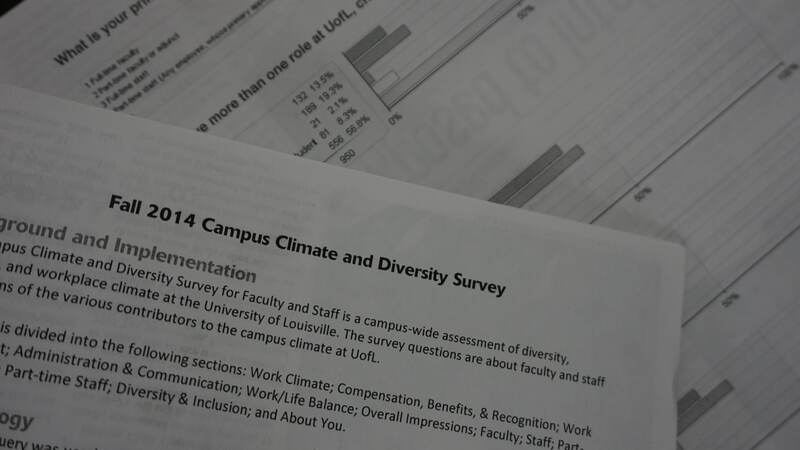 Goldstein and the office of institutional effectiveness submitted their analysis of the results in December, before the campus environment team was tasked with forming an action plan. “One of the major issues identified in the climate survey focused on leadership in regards to poor communication and the lack of transparency,” the email said. In an effort to engage those affected by the action plan, administrators hosted focus groups to help inform the campus community. More training was needed to identify and abolish micro and macro-aggressions within a working environment. “Experiencing micro and macro-aggressions and implicit biases are roadblocks to building an inclusive campus climate,” the email said. Micro and macro-aggressions are nouns used to describe the degree of racial or discriminatory bias a person faces. Marian Vasser was hired in 2016 to be the university’s director of diversity education and inclusive excellence unit that helped to train participants to identify these aggressions. “To date, she has conducted more than 400 training sessions with several thousand participants that included employees and students on Belknap and HSC campuses,” the email said. Brian Buford is assistant provost for diversity and director of the U of L LGBT+ Center. The email also said a plan is being drafted to create a leadership program for faculty of color. “The provost has charged the vice provost for faculty development and the vice provost for diversity and international affairs [Taylor-Archer] with devising a leadership development plan for faculty of color to be submitted in the spring of 2019,” the email said. The second part of the survey has been sent to faculty and staff in another email. The second module focuses on leadership/supervision, compensation/benefits, professional development and campus facilities according to the second email. He said he wished there were more open-ended questions to allow for personal expression and to voice concerns that weren’t previously mentioned in the survey.